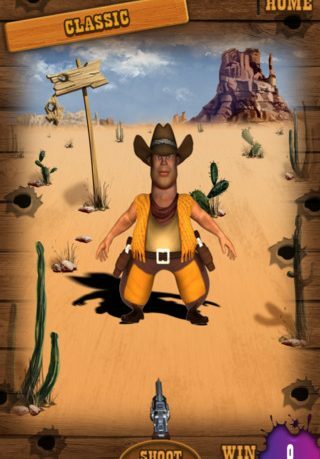 High Noon Jonny for iPhone and iPod Touch, is a classic reactions based shooter with a wild west setting. 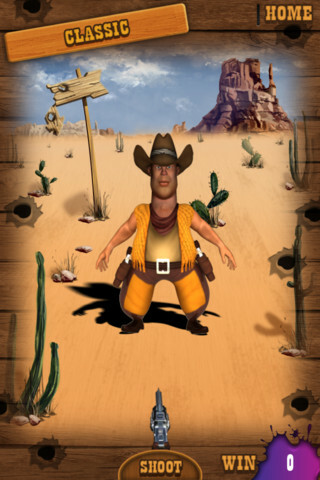 The idea is to beat ‘High Noon Jonny’ in a variety of competitions all based on a quick draw gunfight. It really is surprising just how many modes the developer has squeezed out of this simple concept, but this is the sort of thing more small devs should be doing- getting as many modes and options as you can from your basic gameplay. Each of the four included modes is based around the ringing of a bell. Once the bell rings you are free to try and shoot Jonny in classic mode, but in Freestyle mode you need to wait and see whether he pulls out a rose or a gun. If he pulls a rose and you shoot him, it is game over. In Duel mode, Jonny is walking away from you and you must take care not to shoot him in the back and wait until he turns, and in Phantom mode, which is the most difficult, you must also choose from six random shooting positions. In all the modes, you are going to have to be exeptiionally quick to win. A good tip is to have your finger as close to the screen as possible before shooting. The game comes with full Game Center achievememnts, the ability to share your scores on Twitter and Facebook and there is even a free version to try. 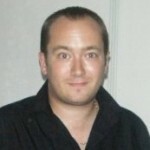 Well worth a look to see just how good your reactions really are.